Windows RT is only present in two devices currently on sale, Microsoft's much-loathed non-Pro Surface devices and somehow these two managed to be the most popular Windows 8 product family currently available. According to a report released by AdDuplex, an in-app advertising specialist who analysed nearly 1000 Windows Store Apps that uses its SDK, Windows Surface RT manages to claim that top dog spot. 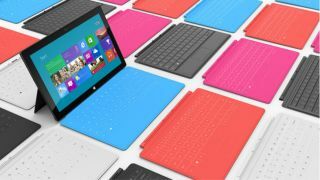 Whether this is a pyrrhic victory, only Microsoft can say, having written down hundreds of millions of dollars against its tablet portfolio. Surface and Surface RT accounts for nearly one in every eight tablets tracked in the survvey with the Asus T100 and the Dell Inspiron 3521 at #3 and #4. The combined marketshare of the three Surface Pro tablets is less than 3%, in other words, ridiculously low. What to make of these figures? Tracking in-app advertising for Windows 8 remains a very niche exercise as (a) relatively few people know and use Windows Store (b) Windows account for a tiny fraction of the tablet market. As of August 2014, the two-year old Windows Store, which contains just over 170,000 apps, had registered 250 million downloads. In comparison, the four-year old Apple's Mac App Store hit the 100 millionth download mark less than a year after it was launched.